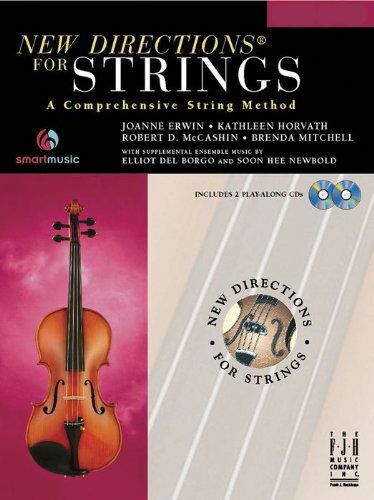 New Directions for Strings, Book 2 reinforces and expands the techniques presented in Book 1 by preparing students for ensemble repertoire and laying the foundation for advanced technique. These expanded techniques include improvisation, composition, and executive skills. See how this new series, designed around the national standards, really puts new directions to use in the second year string class and beyond! Based on more than 100 years of combined teaching experience! Written by a team of pedagogues representing each of the four stringed instruments! Supplemental music by Soon Hee Newbold and Elliot Del Borgo.